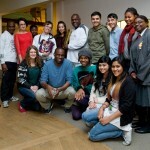 The Geffrye’s Youth Advisory Panel (YAP) compromises of young people from across East London and as such we are well suited to providing relevant ideas for both monthly workshops and workshops to be held on the two significant event days as we are aware of what our community would enjoy. The YAP regularly influence the museum’s public programme by contributing our ideas in relation to the themes of the collection. All of the workshops and events we plan are discussed amongst the panel with the aim to link ideas with objects and themes from across the museum and gardens. After attending a number of workshops and through encouragement from my younger sibling I decided I would join the YAP in 2010. Being a participant of various workshops I had many ideas for workshops that I thought young people my age and younger would like to engage in. As part of the YAP, I work alongside staff at the museum, where I believe my views and the perspective of other members are heard and applied to forthcoming events and workshops at the museum. Contributing ideas for workshops was a very natural process for me as the staff are extremely friendly and approachable. It is evident that they care about young people and treat their comments with attention. I have been part of the YAP for just over two years and have assisted at three of the large scale events. The two large scale events we plan each year are held in March and July, so during half term/Easter and during the summer holidays to allow a maximum amount of visitors to attend the events – we have found the timings of our events is a crucial factor when we planning. 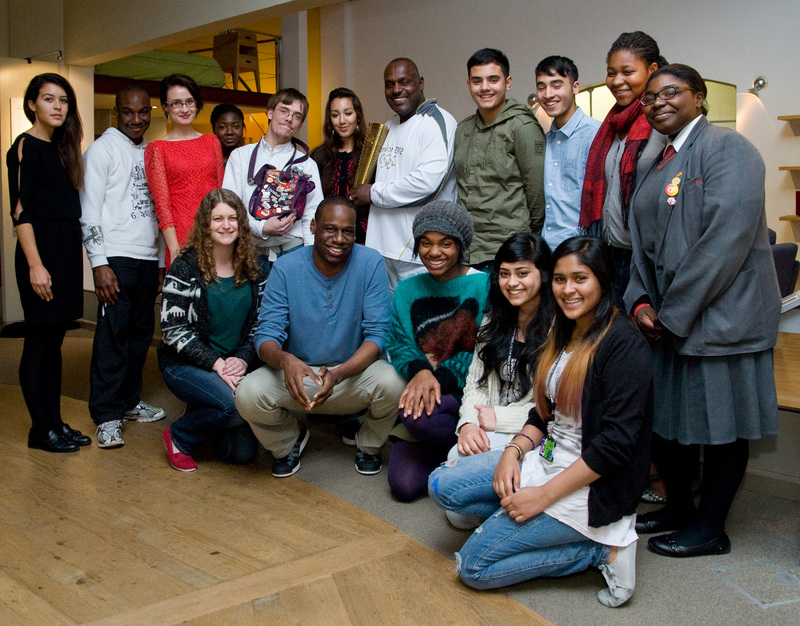 My favourite events that the YAP have planned were Going Global and Let’s Celebrate both influenced by the museum’s 2012 Stories of the World At Home with the World exhibition for the London 2012 Cultural Olympiad. For Going Global we programmed a range of activities from children decorating Eastern-style tiles, to young people learning and developing their image-editing skills as well as a costume workshops and musicians playing traditional Greek music inspired by the museum’s Neo-Classic objects. At our Let’s Celebrate event we encouraged young people to participate in light painting animation. However the best activity of the event was definitely Jumping Jack Flash, which I helped facilitate. This encompassed various fun activities like sack races, the egg and spoon race, archery and the tug of war to encourage visitors to take part in the Geffrye’s own Garden Octathlon Games inspired by the London 2012 Olympic and Paralympic Games. From the very positive visitor’s feedback we received, I don’t think there was one person at the event that was dissatisfied that they had ventured to the Geffrye – everyone walked away with a smile on their face! The Geffrye Museum cares about its community, it does not encourage exclusivity and aims to tackle class barriers, it wants to thrive within its community and be enjoyed by all inhabitants. This ideal has always touched me and is the main reason I enjoy working with the YAP and staff to make the museum even more youth-friendly and continue with this ethos.